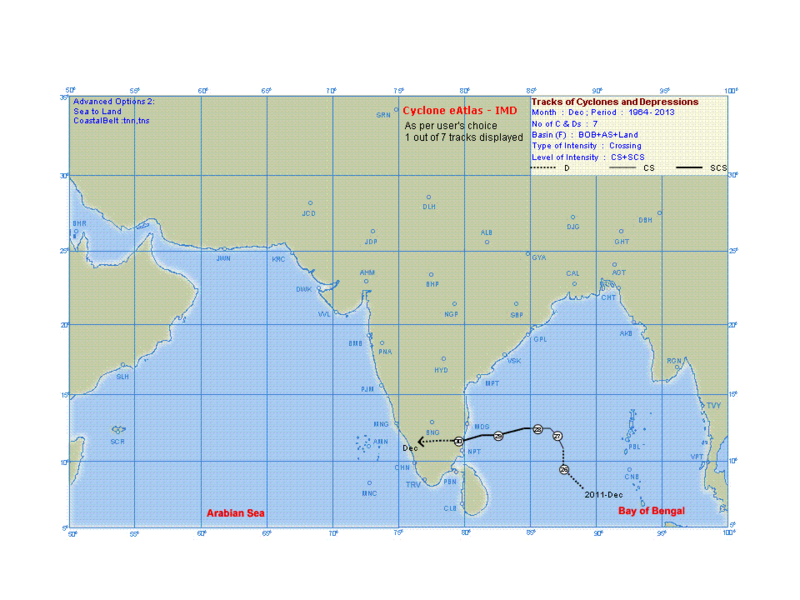 Cyclone Fanoos in the year 2005 took possibly the straightest path ever taken by a Cyclone in the Bay of Bengal. 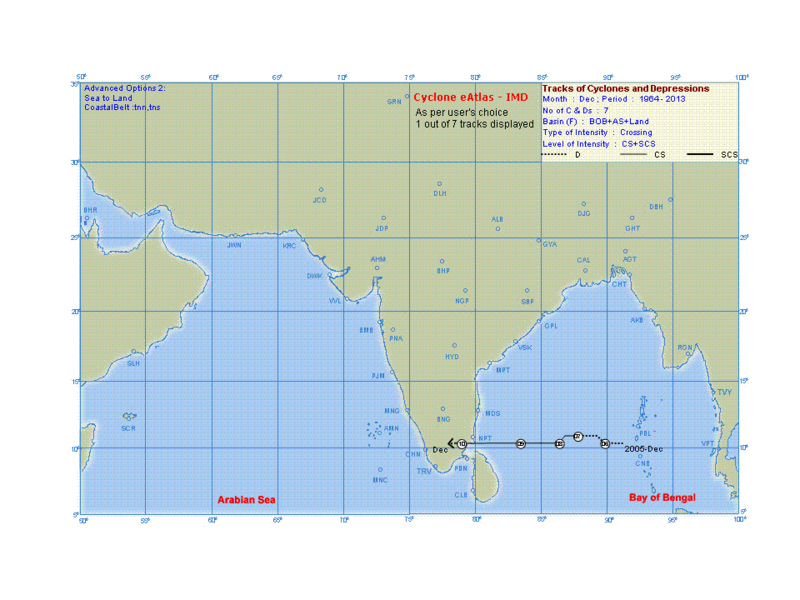 Dead West all the way until it hit South of Nagapattinam. 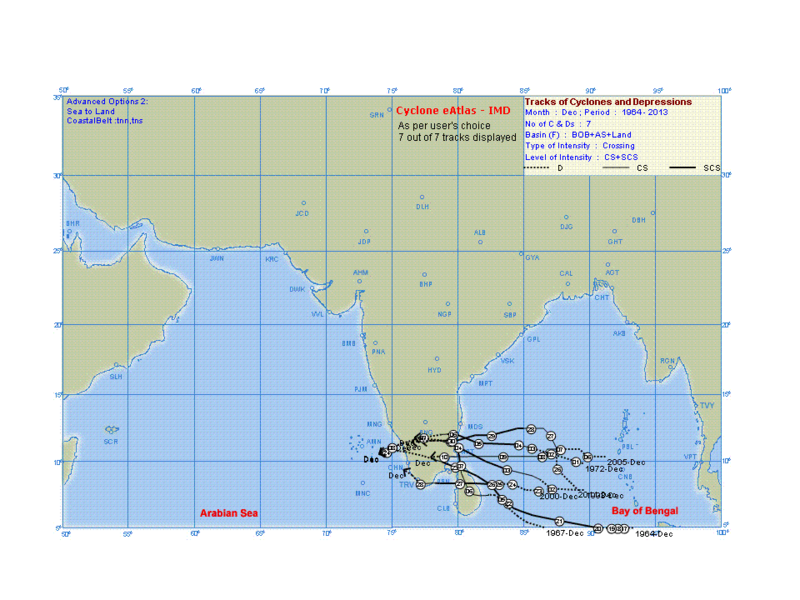 Edit: It has been pointed out Cyclone Fanoos became a Depression just before landfall as per the 2005 End of Season summary prepared by IMD. 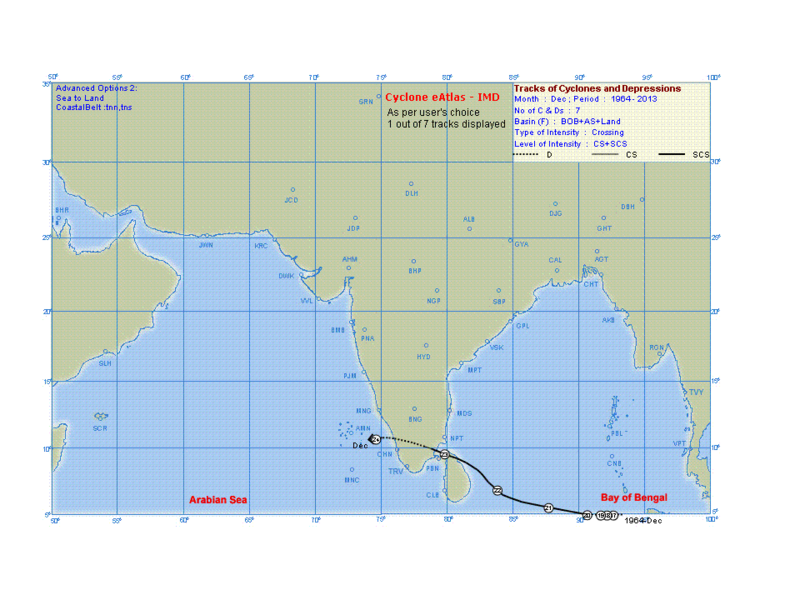 The Cyclone EAtlas still shows it as crossing the coast as a cyclone.